The Darke County Parks District will hold a course on the seven principles of the Leave No Trace Program on Aug. 23 at its new Bish Discovery Center facility in Greenville. GREENVILLE — The Darke County Parks District will hold a course on the seven principles of the Leave No Trace Program on Aug. 23 at its new Bish Discovery Center facility in Greenville. The program aims to provide a framework for outdoor recreation decision-making, helping park patrons enjoy the outdoors without doing damage to the natural environment. The program will run from 6:30 to 8 p.m. Aug. 23. The Bish Discovery Center sits near the entrance to Alice Bish Park on Ohio Street in Greenville. The five acres of land encompassing the park, as well as the adjoining walking trail along Greenville Creek, were donated to the Parks District in May 1994 by Chalmer Bish and named in honor of Bish’s wife. The Greenville Creek Trail extends from Ohio Street to Greenville City Park. 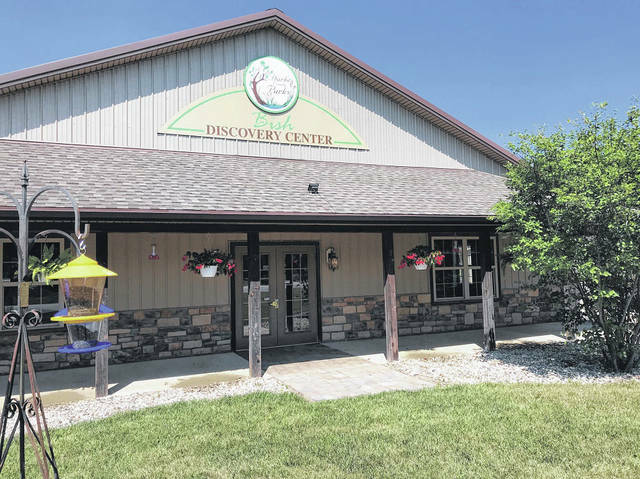 The Discovery Center is open Wednesday through Saturday from 10 a.m. to 4 p.m. as a venue for meetings and various park programs, including bike rides and aquaponics activities, as well as a place for local young people to spend time and learn about nature. Events held in the last month at the new facility include a “Backyard Gardens” course on succession planting, in which one crop is planted in the same place after another is harvested, and a course on the essentials of day hiking. A grand opening celebration for the newly acquired property was held in July by Friends of the Darke County Parks. Members of the Bish family were present for the event. Plans to further improve the property include possibly updating the facility’s restrooms and installing a new heat source for the coming winter. Members of the Darke County Parks Board closed a deal to purchase the Bish property earlier this year. Parks Director Roger Van Frank updated board members on the project during the monthly meeting in May. The property was formerly the site of Greenville-based business Spencer Landscaping, which relocated to a new facility on U.S. 571 in May of 2016. The park district used a $200,000 grant from the Ohio Department of Public Works to fund the purchase, along with a $60,000 loan from Second National Bank in Greenville. In addition, approximately $13,000 previously paid in rent for the property was applied toward the total $250,000 purchase price. Those interested in registering for the free Leave No Trace program may contact the Darke County Parks Nature Center at 937-548-0165. This entry was tagged Bish Discovery Center, Darke County Parks District, Greenville. Bookmark the permalink.